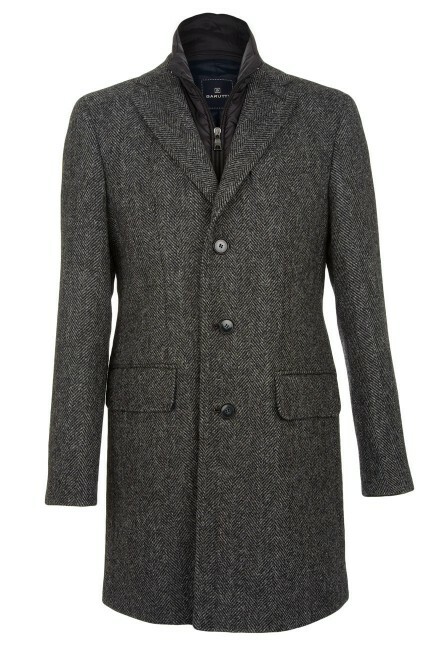 Jenson is a beautifully tailored single-breasted mens coat by Barutti, offered in a traditional herringbone design. For additional warmth and versatility, the Jenson coat features a detachable zip-in gilet style insert. Barutti " Jensen " Harris Tweed Topcoat in Grey Herringbone with a detachable zip-in" Gilet " style insert .